Rich in high-quality protein from wild-caught salmon and U.S.-sourced whitefish to help maintain and build lean muscle mass. 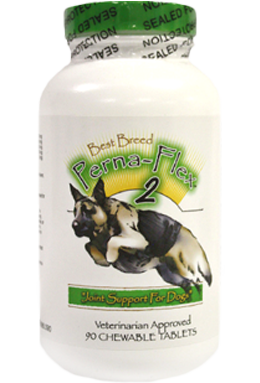 Excellent option for dogs with sensitivities to chicken – no chicken protein or chicken fat. Antioxidant-rich fruits and vegetables, including blueberries, cranberries, carrots, tomatoes, spinach, celery, and watercress, help maintain a strong immune system. Best Breed Grain Free Salmon With Fruits and Vegetables formula is formulated to meet the nutritional levels established by the AAFCO (Association of American Feed Control Officials) Dog Food Nutrient Profiles for all life stages. 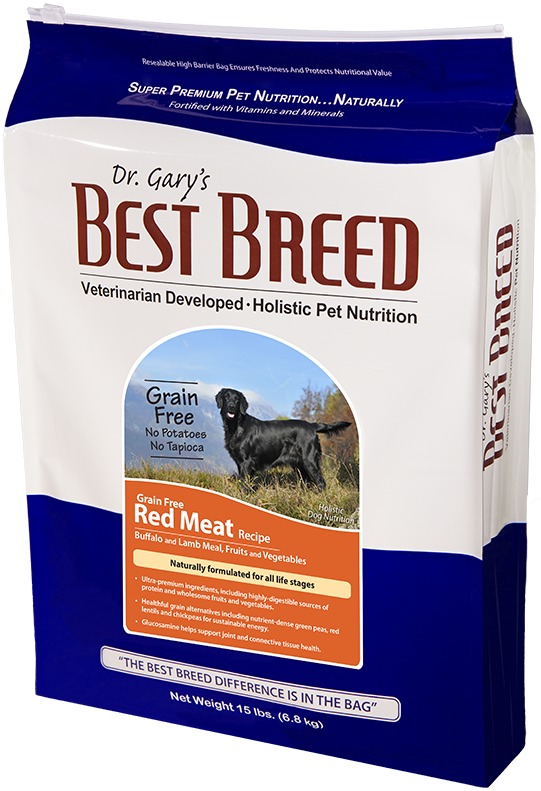 Over the years one question we have received repeatedly from caring pet parents is, “why does Best Breed not have a grain free formula?” The simple answer is we have not felt comfortable with many of the non-grain ingredients being used in grain-free pet food formulas. 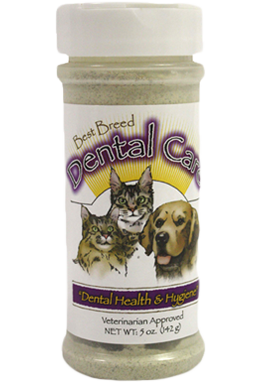 I have felt, and still feel, that healthy grains, when used as part of a complete and balanced formula, are much better for pets than high glycemic ingredients like tapioca and potatoes. Tapioca and potatoes are high (relative to legumes) on the glycemic index and when used in excessive amounts can cause spikes in pets’ blood sugar and insulin levels, potentially resulting in long-term health issues. Low-glycemic foods, by virtue of their slow digestion and absorption, produce gradual rises in blood sugar and insulin levels, helping promote long-term health benefits. After years of research and careful consideration, we have now developed grain free formulas with ingredients such as green peas, chick peas, ground flax seed and other fruits and vegetables, all of which are lower (relative to potatoes and tapioca) on the glycemic index and help promote sustainable energy. Lastly, like all of our diets, the Grain Free Salmon with Fruits and Vegetables recipe is formulated without low-grade ingredients that are harder for your dog to digest and may be harmful to his health. Some of these ingredients include animal by-product meal, cheap fillers, any sort of gluten (e.g., corn gluten), and artificial preservatives, flavors, and colors. Salmon Meal, Red Lentils, Chickpeas, Green Peas, White Fish Meal, Canola Oil, Carrots, Celery, Beets, Parsley, Lettuce, Watercress, Spinach, Natural Flavor, Ground Flax Seed, Menhaden Fish Oil, Lecithin, Calcium Carbonate, Kelp Meal, New Zealand Green Mussel, Cranberries, Blueberries, Salt, D/L Methionine, Choline Chloride, Lactobacillus Acidophilus Fermentation Product Dehydrated, L-Lysine, L-Carnitine, Vitamin E Supplement, Glucosamine, Ascorbic Acid, Biotin, Niacin Supplement, d-Calcium Pantothenate, Vitamin A Acetate, Riboflavin Supplement, Vitamin B12 Supplement, Thiamine Mononitrate, Pyridoxine Hydrochloride, Citric Acid, Vitamin D3 Supplement, Folic Acid, Potassium Chloride, Ferrous Sulfate, Zinc Sulfate, Zinc Proteinate, Iron Proteinate, Zinc Oxide, Copper Sulfate, Manganese Sulfate, Manganese Proteinate, Copper Proteinate, Manganous Oxide, Sodium Selenite, Calcium Iodate. 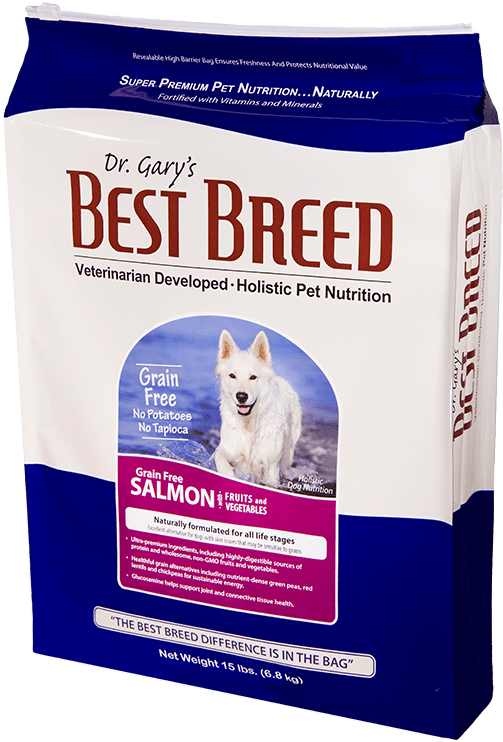 Best Breed Grain Free Salmon Dog Diet is formulated to meet the nutritional levels established by the AAFCO (Association of American Feed Control Officials) Dog Food Nutrient Profiles for all life stages. Contains 437 Kcal per cup ME (metabolizable energy) and 4.0 oz. of food per standard 8 oz. measuring cup.